He studied at the Athens School of Arts (1900-1904) and the Munich Academy (1907-1911). In Bavaria, where he stayed until 1929, he participated in exhibitions at the Glaspalast. Sponsored by the Averoff Bequest, he travelled to many countries in order to study traditions of religious painting. In 1929, he became professor at the Athens School of Fine Arts; he also became its director (1949-1953). He participated in the Venice Biennale (1934, 1936). He received the Greek Award for Excellence in Arts and Letters (1952) and became a member of the Academy of Athens (1959). The subject matter of his works includes mythological and symbolic works, as well as everyday scenes and landscapes, portraits and nudes. 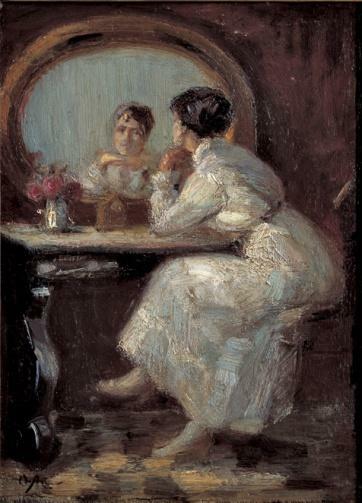 An academic approach to painting en plein air eventually prevailed in his painting; he focused on the sensual and pleasing qualities of his female figures.